Image: Mike Yarish / Netflix. We previously announced some of the Netflix original Christmas movie titles coming to the streaming service this holiday season, but wait! That’s not all. Netflix has a whole lineup for the next two months to get you in the spirit, no matter what holiday you celebrate. In a holiday compilation video posted on Monday, Netflix teased everything it has going for the 2018 holiday season, including original content. Here are the programs we’re most excited to see. Who doesn’t love The Great British Baking Show (aka Great British Bake Off)? Bakers from the UK test their might in the kitchen and support each other through every failure. This series is the most wholesome cooking competition around, so adding holidays to the mix is sure to create even more warm fuzzies — especially since the special appears to include many of our past favorite bakers. The show starts streaming Nov. 30. If you’d rather watch home cooks who are decidedly less skilled in the kitchen, check out the Nailed It! Holiday! special (available Dec. 7), which looks utterly delightful. As noted by E! 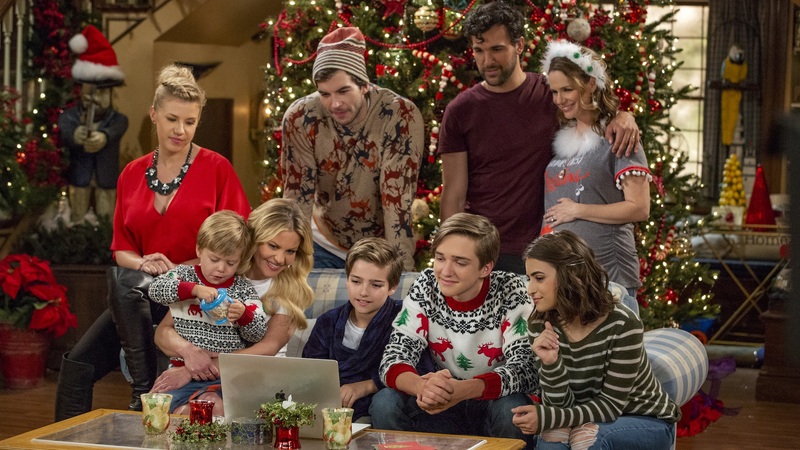 News, the first episode of the new season of Fuller House is titled “Oh, My Santa!” Clearly a great way to kick off the holidays when the show returns on Dec. 14. And if you want the full list of new and old holiday content that is currently available or coming soon on Netflix, check out the list of titles below, via E! News. That’s just movies! Netflix also has a list of Christmas specials from your favorite TV shows to round out your holiday viewing parties.